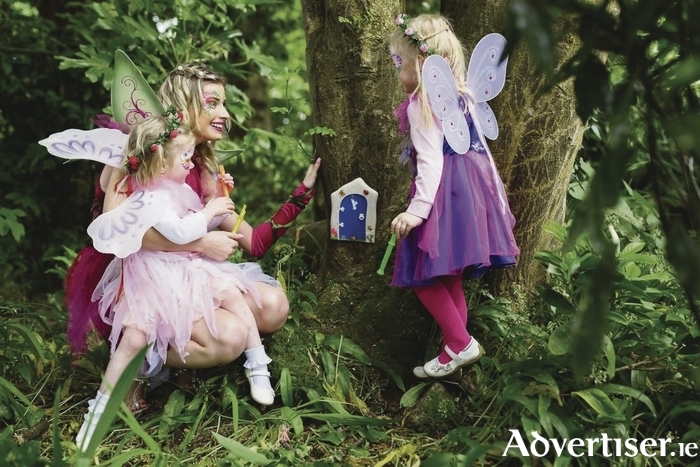 Pictured at the opening of The Ardilaun Fairy Garden were Fairy Katie with friends Leah Burke (age three) from Corrandulla, Co. Galway and Chloe Cashen (age four) from Knocknacarra who were thrilled to find all the fairy doors in The Ardilaun Hotel, Taylors Hill Galway. The summer holidays can be a challenging time for parents as they juggle work with childcare. For many the answer lies in summer camps. There are so many on offer from multi-activity camps that take place outdoors to Lego and computer camps that tend to be indoors. Summer Camps are the perfect opportunity for your child to try out and take part in an activity they may not usually do or up their skills when regular classes are not on and many offer pre and after camp care, making them ideal for parents too. If you are thinking of booking a summer camp place for your child there are a few things to consider before making your final choice. Find out what child protection policy the camp has in place and what insurance is in place too. It is good practice for all organisations that have contact with children and young people to have a child protection policy to safeguard not only the child but the adults working with them. Be sure to check the ratio of adults to children as well. Find out what the policy is on photography, video and mobile phones. Camps should offer consent forms in advance so you can say whether you mind your child being in photographs or videos that could be used in future for promotional purposes by the camps provider or that other parents or kids may take and wish to share on social media sites. Find out whether the camp has a pre or after camp care facility. And what happens if you’re running late either dropping your child to the camp or when picking them up? Find out how collection works, especially for younger children, do they have to be signed out to an agreed adult, or do children wander out to find their parents at the end of camp? If outings are part of the camp see what consent is needed and what transport options are going to be used. And where drop off and collection points are for outings. Check what they will need to bring. Some camps offer all the equipment needed to take part but for others, you many need to provide that yourself. And will they let you know in advance on a day your child may need a change of clothes or is due to take part in an activity that could be particularly messy. And is there a secure place to store items while they are taking part in the camp. Also check what refreshments are required. Some camps offer lunch but you may need to provide water or extra snacks. And do find out whether there is a tuck shop on-site as your child may be raiding their money box to stock up on sweet treats without your knowledge! If your child is going to be attending the camp without other friends, do try and find out what the age spread is and how different age groups are divided up. For outdoor camps, check what shelter, if any, is available for very wet days for both the children and their bags. And what changing facilities are on-site too. One final word of advice for day one is to find out where you can locate lost property. As a Mum whose children have attended many summer camps, they lose everything from lunch boxes to clothing and equipment.